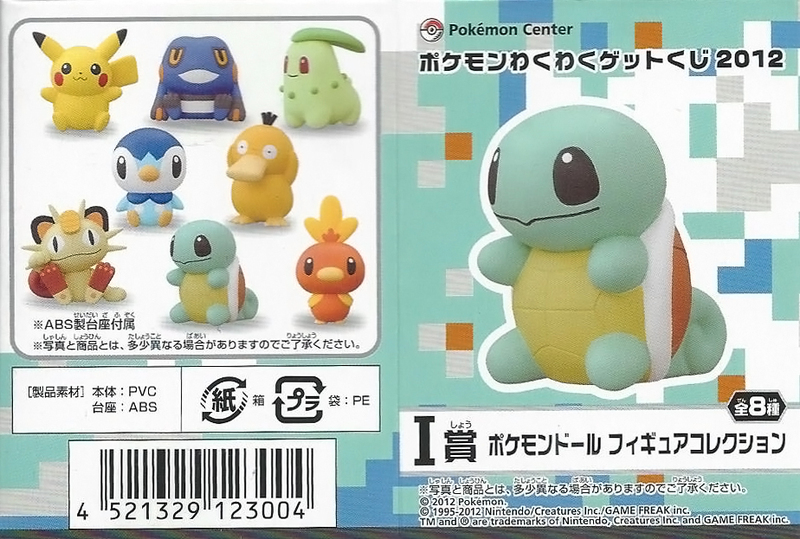 Cards, stickers, and other flat stuff! 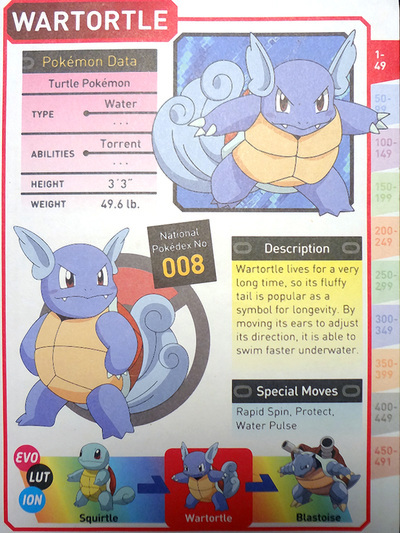 Click here for the main page and here for the figures. 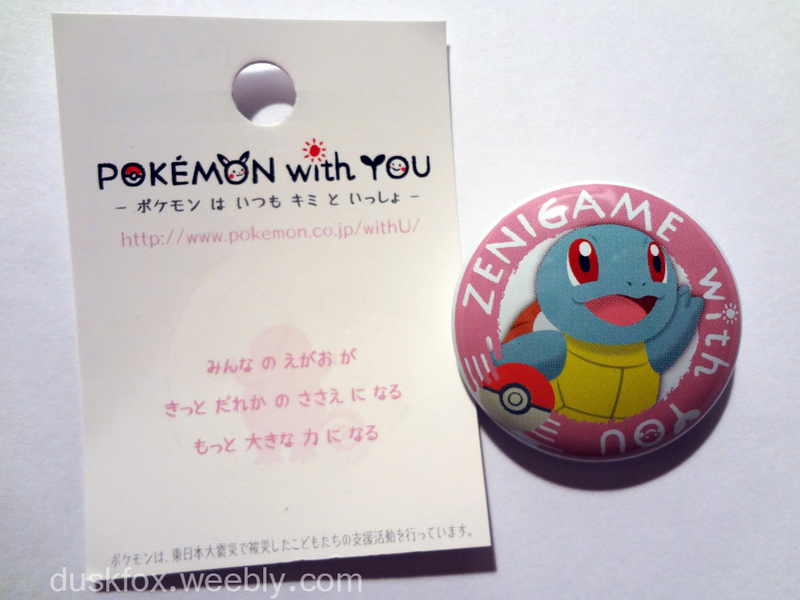 This is a special pin, as profits from the "POKÉMON with YOU" series are donated to Japanese disaster relief funds. 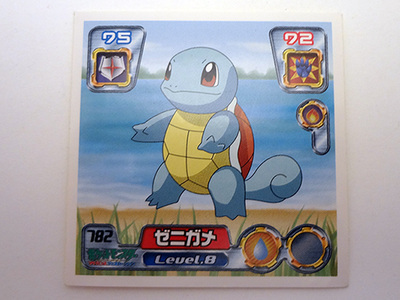 The series was created to help children affected by the Great Eastern Japan Earthquake of 2011. Value: $5. 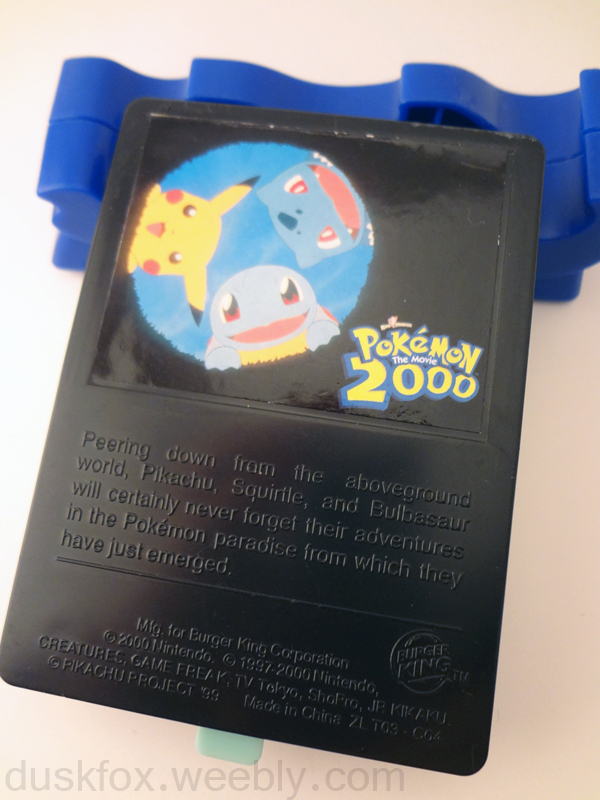 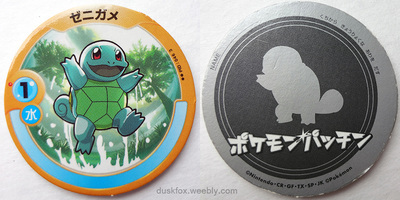 Pokémon Battrio is an arcade game, found in Japan only. These pucks have chips inside them, and can be used to battle in the game! 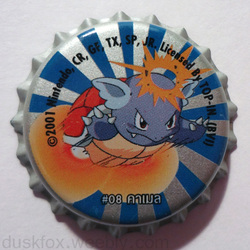 An American product. 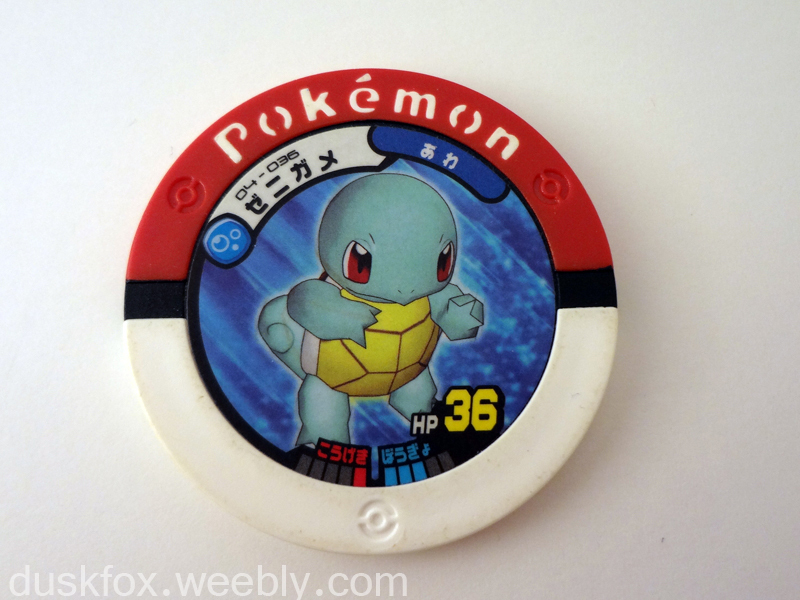 It came with a digital watch, and interchangeable wristbands and face covers! 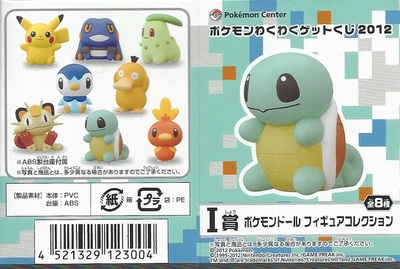 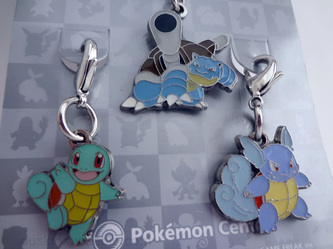 They included Squirtle, Charmander, and Pikachu. I cannot find any copyright information. 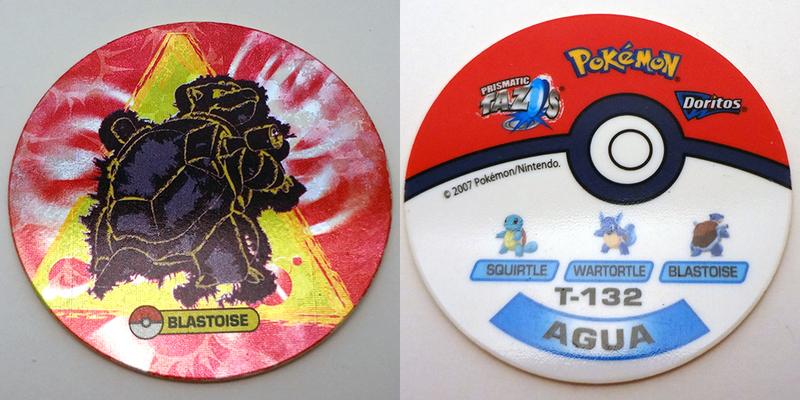 Value: $1-$5. © ??? A plastic clip from Japan. 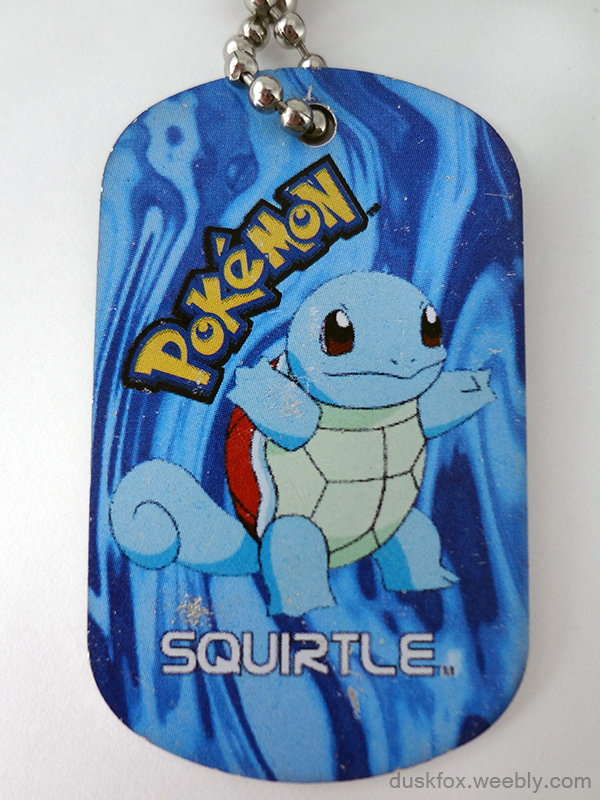 Value: $1. 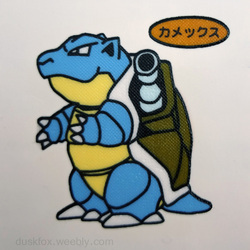 © ? 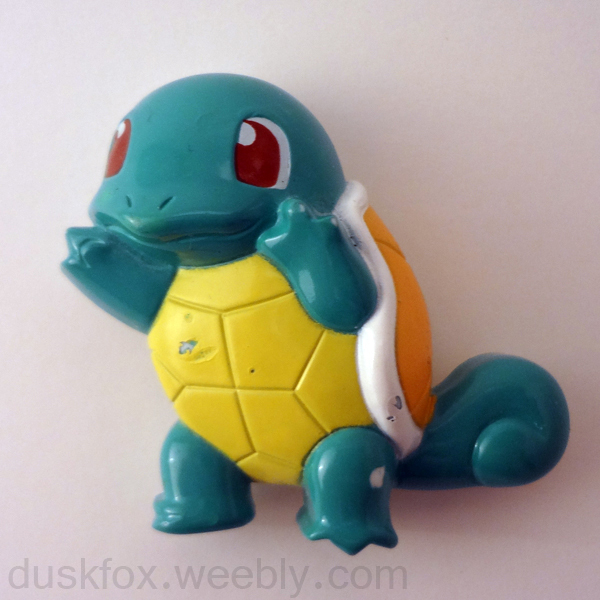 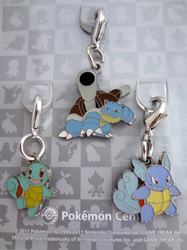 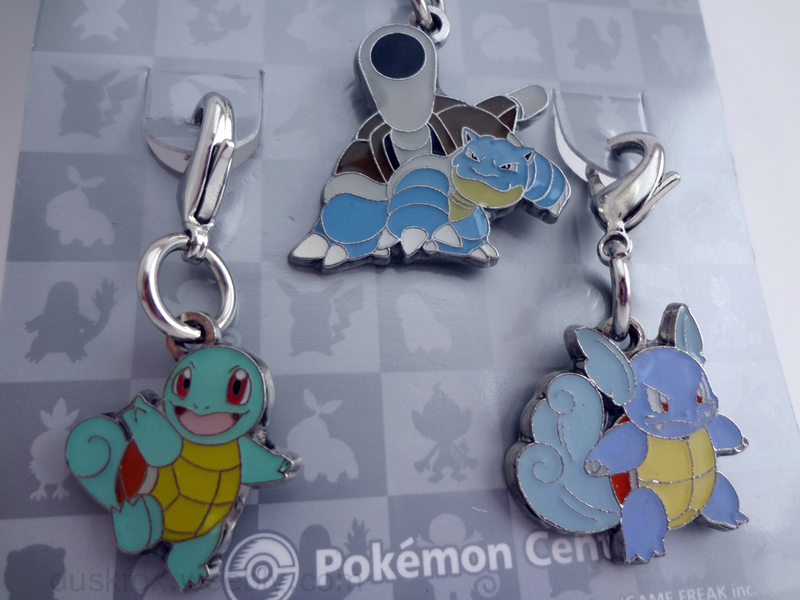 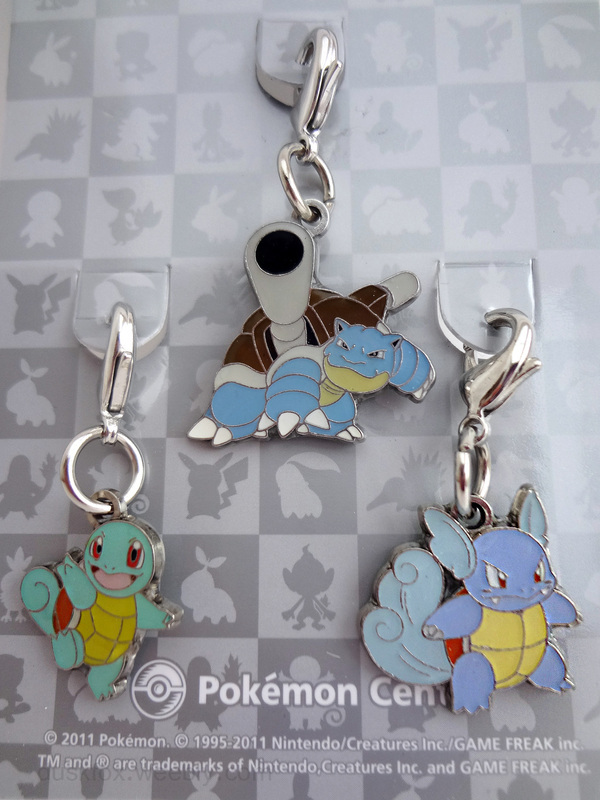 Blastoise is a metal swing keychain; I'm not sure what squirtle is. 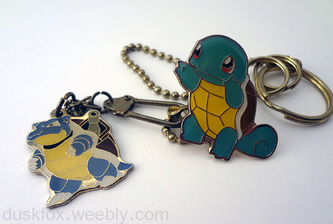 Its chain is a gold-ish color and it has a croc clasp on its back. Value: $1-$5 each. © ? 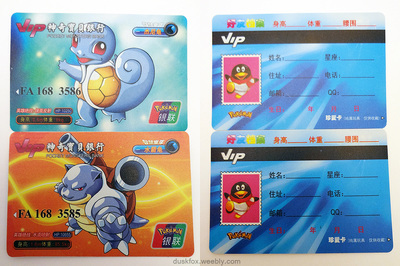 Squirtle and Blastoise VIP Cards - These are apparently Chinese bootlegs, which a friend of mine received from an eBay lot instead of the cards he actually ordered. 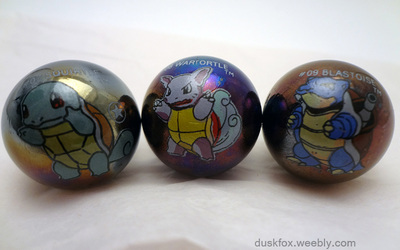 Still, they have some nice art on em, and they are made of a nice plastic! 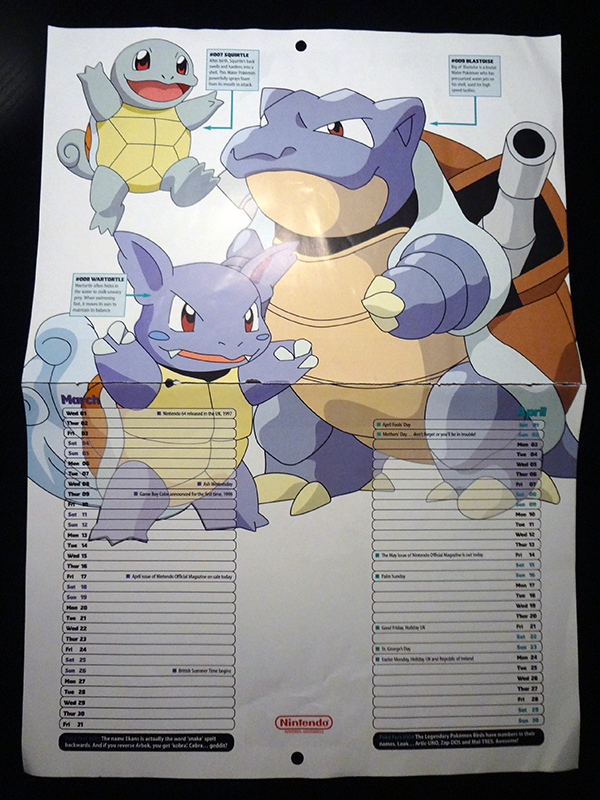 Squirtle-line Calendar Page - This was a freebie from someone on pkmncollectors. Wartortle Page - A page from a pokedex book. 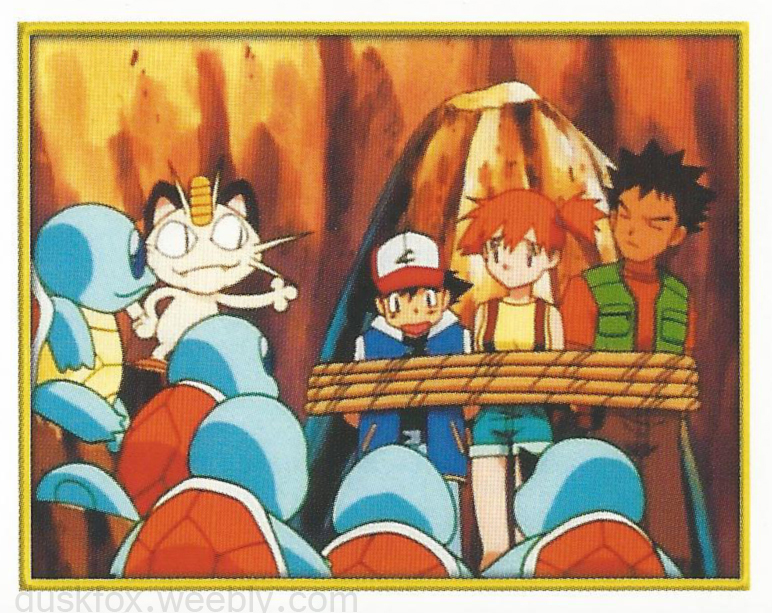 Someone was giving out the pages from his book on pkmncollectors. 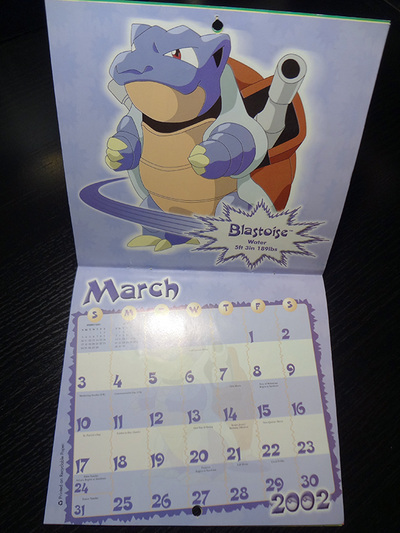 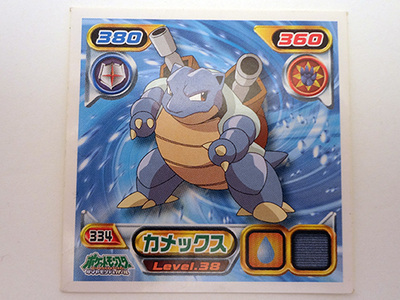 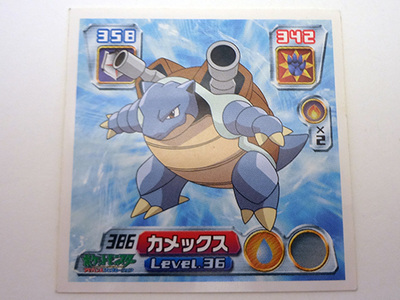 Blastoise Page - A page from a pokedex book. 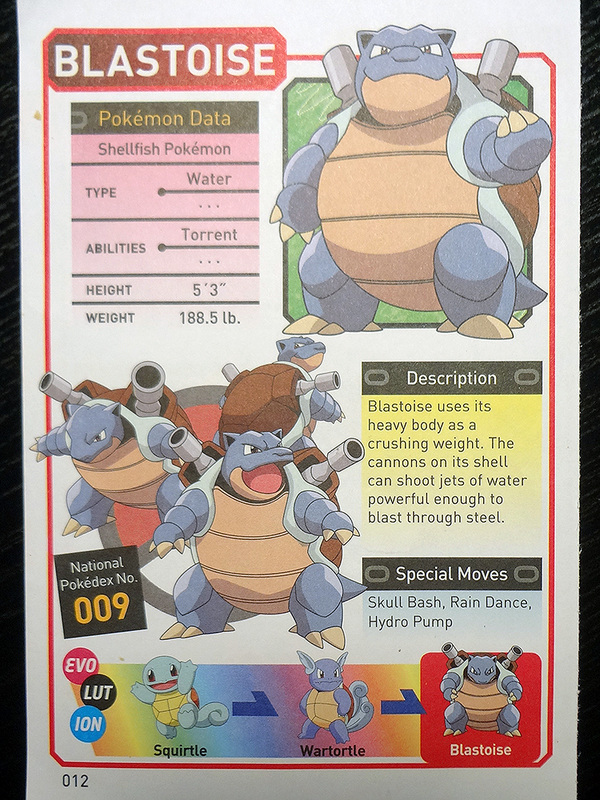 Someone was giving out the pages from his book on pkmncollectors. 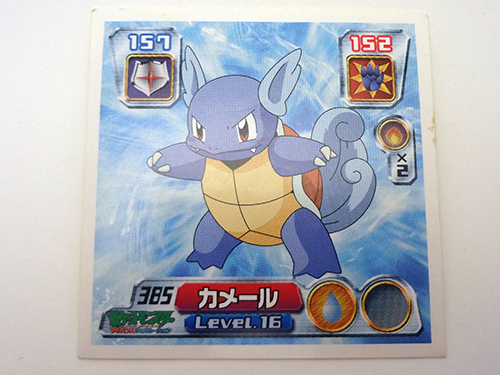 It has some nice anime art in poses we don't usually see. 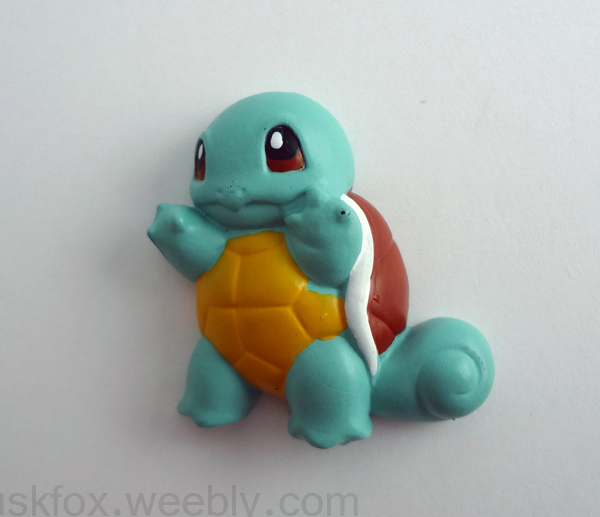 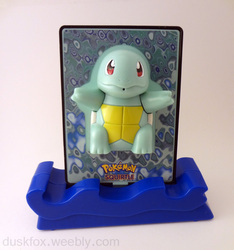 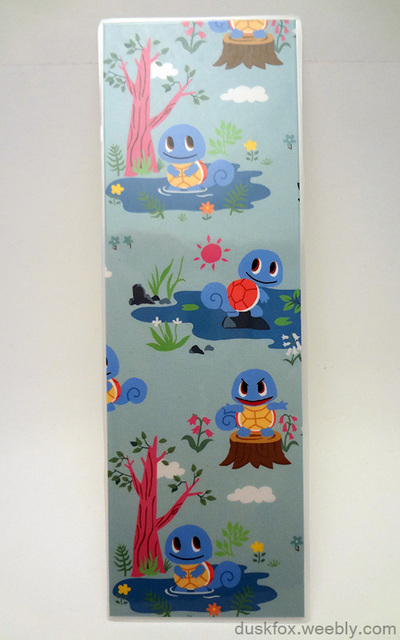 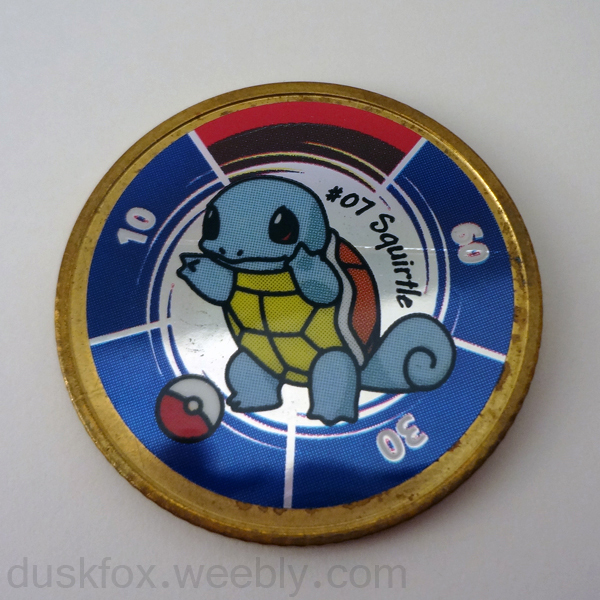 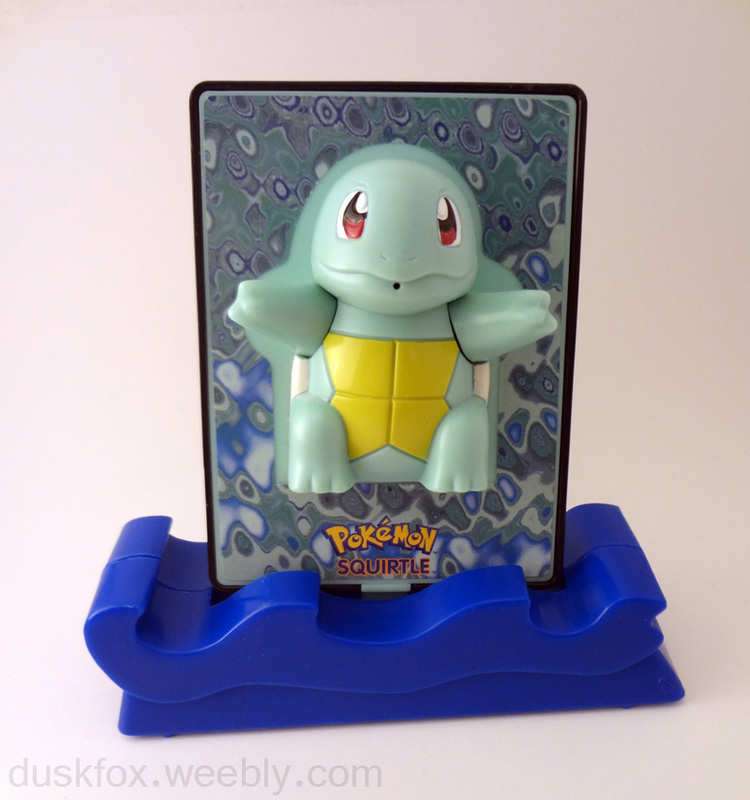 Custom Laminated Squirtle Pokémon Time Bookmark - Bought from zannid @ LJ. Very cute! 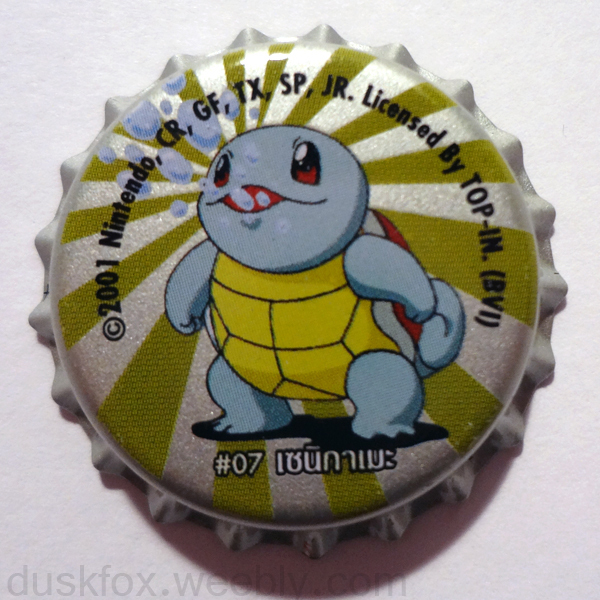 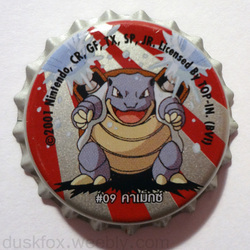 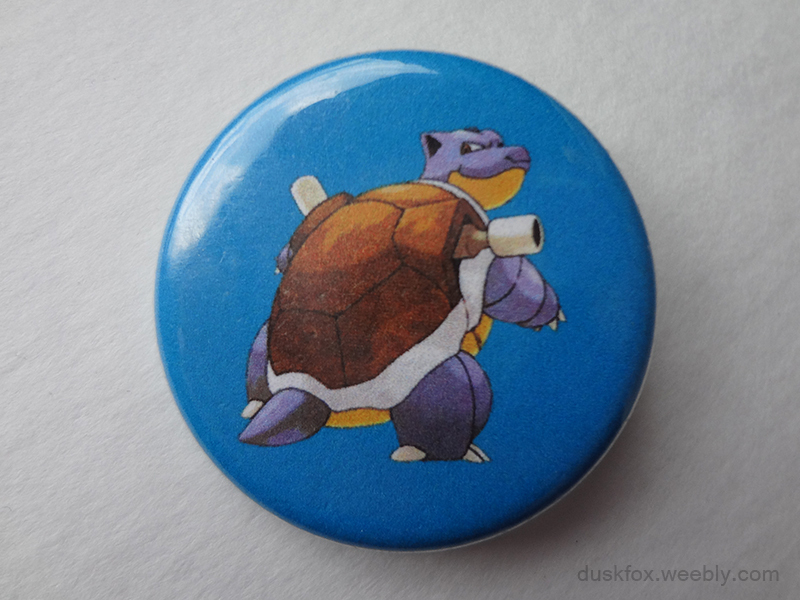 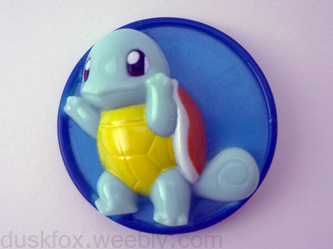 BLASTOISE PIN - Custom-made and unofficial. 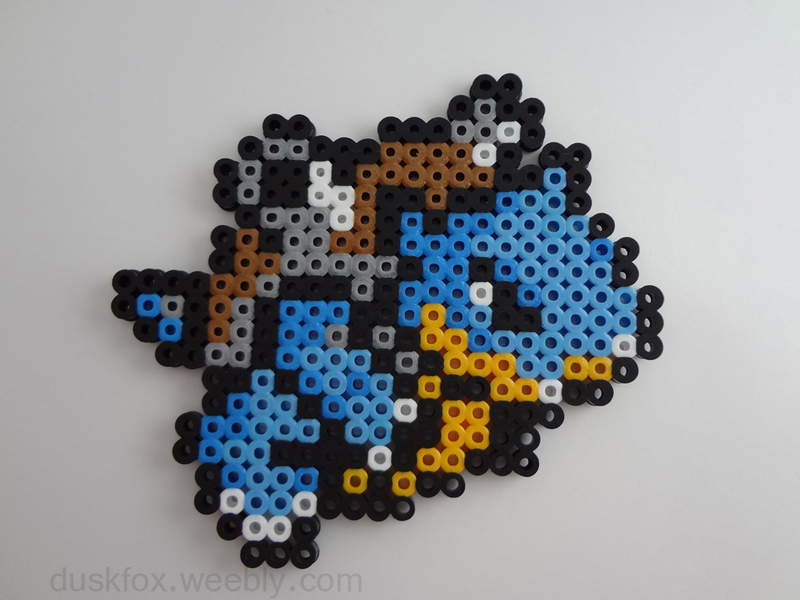 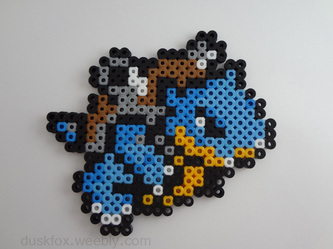 BLASTOISE BEAD SPRITE - This was a commission, made by vulpixlover, and features Blastoise's menu sprite!